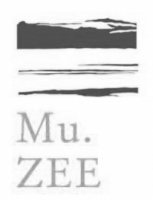 Mu-zee-um is an art educative organization for the promotion and the stimulation of the exchange between art(ist)s and the public. We do this by organizing and creating educative projects and sessions on local, regional, national and international levels. 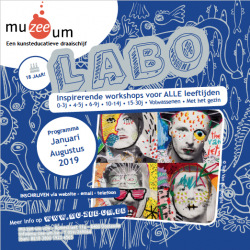 Art is for mu-zee-um the means by excellence to prompt people of all ages to initiative, creativity and reflection. We are a crossroads for art educational regional activities together with cultural actors from Ostend, West-Flanders, Flanders and Belgium. We bring together artists, gallery holders, cultural and educational workers and teachers in order to make them learn from each other. We are a meeting-place for voluntaries for education and schooling concerned with arts. We are the intermediary between supply and demand, receiver and creator of art initiatives who aim at a large public. We stimulate children, youngsters and adults to look and listen creatively to the vast world of arts and culture. We give them the opportunities to participate actively to plastic arts, (multi-media, music, movement, word, literature and drama. We reflect and create individually or in group. We organize educational moments workshops and projects for people that want to set up activities for children, youngsters and adults. We organize trainings for guides and assistants that aim at a high level public negotiation. We develop art educational projects in fields as music, image, media, movement, word, literature and theatre for all schools, profit and non-profit organizations and individuals. By means of creative projects we want to give a central role to artist. In this respect, mu-zee-um plays an intermediary role between artists and public. We set up new and innovative projects with and by youngsters. We school ourselves in the developments and innovations of art education and the role and functioning of centers for art education. We part from a large and diverse audience when we set up artistic projects. Our activities want bring together different generations and groups of the population. We organize activities that are open for both underprivileged and other interested people. We develop and share our knowledge of working with youngsters on a national level. 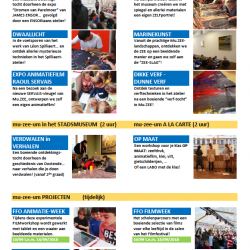 We function as a sending- and/or host organization for (inter)national art educational projects.